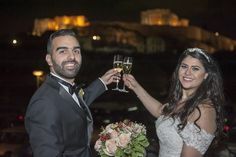 “Wedding in Greece” planning team has organized numerous Arab and Lebanese weddings in Greece, always with Arabic-speaking priests, including either Orthodox or Maronite traditions. Couples from Lebanon, Qatar, Dubai (UAE) and Jordan have trusted us and enjoyed stunning ceremonies, combining the spellbinding beauty of Greece with a deep appreciation and respect for all Arabic religious and cultural traditions, rituals and customs. Especially for a Religious Maronite wedding in Greece, our suggestion is Athens Riviera. Of course, other spots as Santorini, Mykonos, & Crete are possible destinations. Our team has a profound comprehension of the values that make a wedding celebration so special to you, your family and your friends. A symbolic wedding ceremony is also possible. Kindly note that Civil wedding is no longer possible for Lebanese citizens, because of legal restrictions with wedding license issue! Please contact our team for more details and alternative solutions! 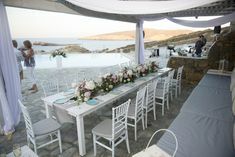 We can plan a symbolic Lebanese wedding in Santorini with this breathtaking view in Aegean sea. 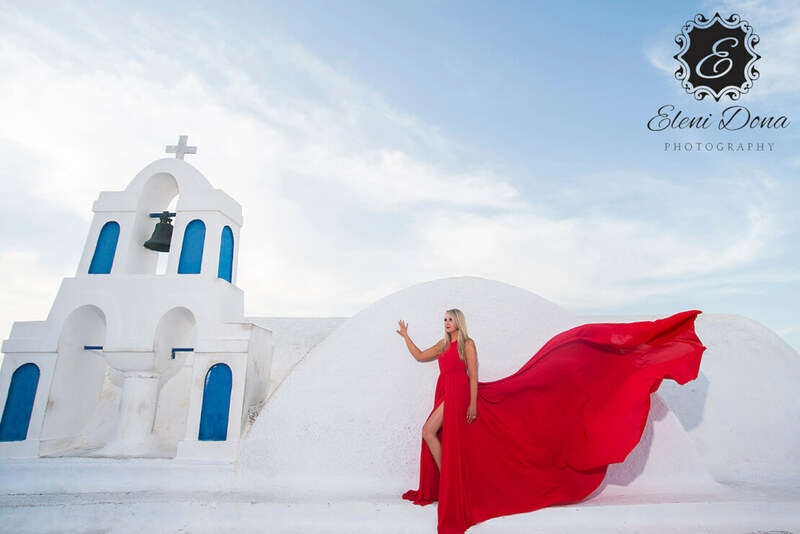 We have worked with the most exclusive wedding venues in Athens, as well as in Santorini and Mykonos, organizing Arab weddings. 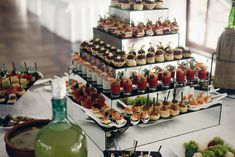 Whether you seek a glamorous and luxurious reception or a fun and festive party, we are able to plan every single detail. All opulent venues are always specially decorated to combine classic Greek elements with a more contemporary Middle Eastern style. 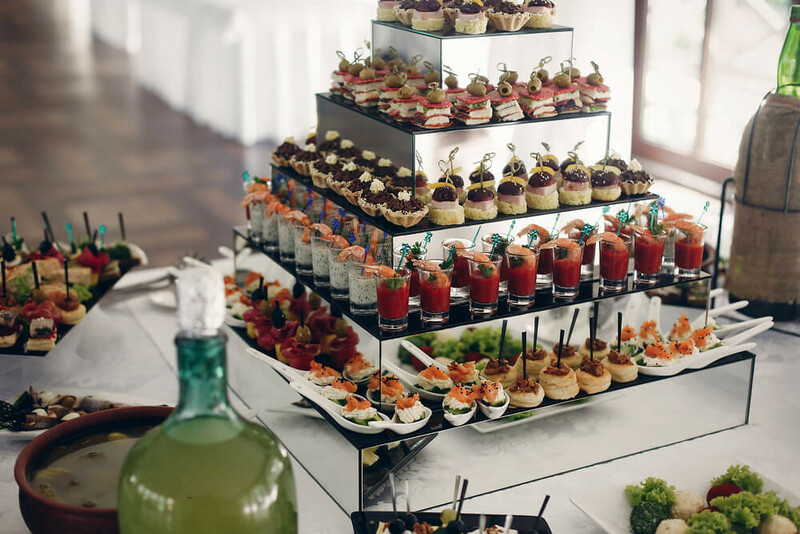 Just imagine succulent dishes and mouthwatering desserts; yes, we absolutely understand that the right destination wedding menu is an essential part of making your whole affair spectacular. That’s why we have special Arab menus that will tempt your guests’ palates. Hummus, falafel, tabouleh, shawarma, and fattoush are some classic recipes that we love tasting at the numerous Arab wedding receptions we’re organizing. But no celebration is complete without at least a couple of sweets on the menu. And is there anyone who doesn’t like baklava or knafeh? 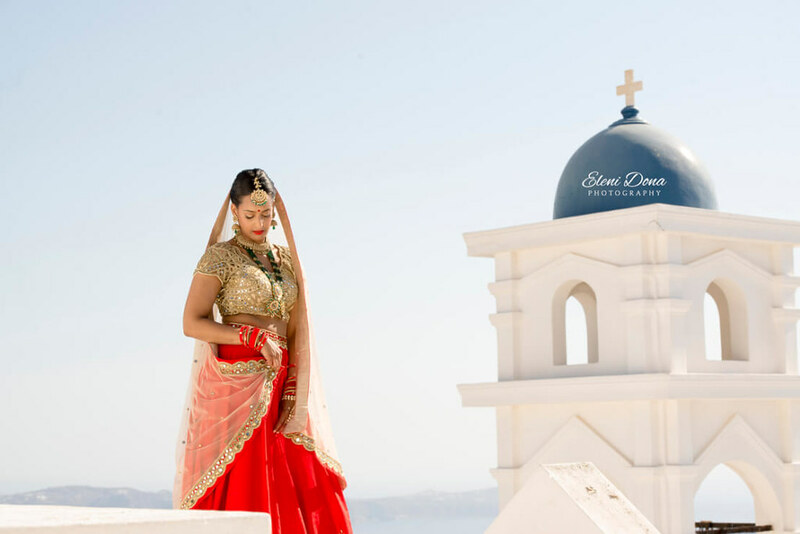 The highlight of most Arab wedding parties in Greece is the vibrant music and the Greek or Eastern traditional dances the newly-weds and their guests always fall head over heels in love with. Dancing traditional Greek dances at your wedding is a great way to celebrate the local culture and our wedding team can find the expert, professional dancers to lead the way to the dance floor. We can also plan impressive Darbuka shows and belly dance performances or have experienced DJs who will certainly keep the party going up until the early hours of the morning. Music and dances in Greece are integrally linked to the notion of happiness that a wedding brings; that’s why a festive celebration here never winds down in a few hours – and we totally understand that the same goes for all Arab weddings too! 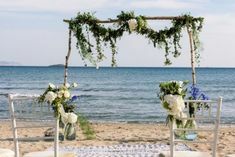 Most Middle Eastern weddings tend to have a large guest list, which can be a problem while planning a destination wedding abroad; there are all these relatives and friends who would love to attend your special ceremony but just can’t. 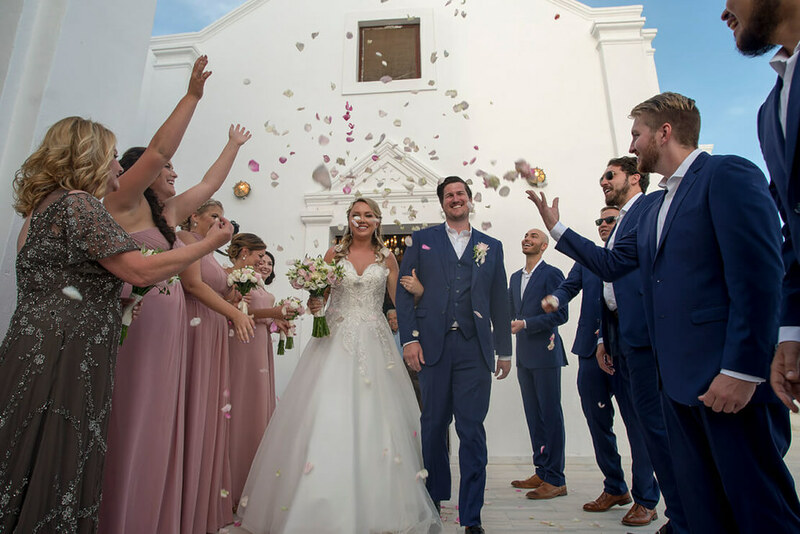 Well, with a little help from our team, your ceremony can be streamed live on the Internet and each and every one of your beloved ones will have the opportunity to watch your amazing moments of nuptial bliss in Greece. 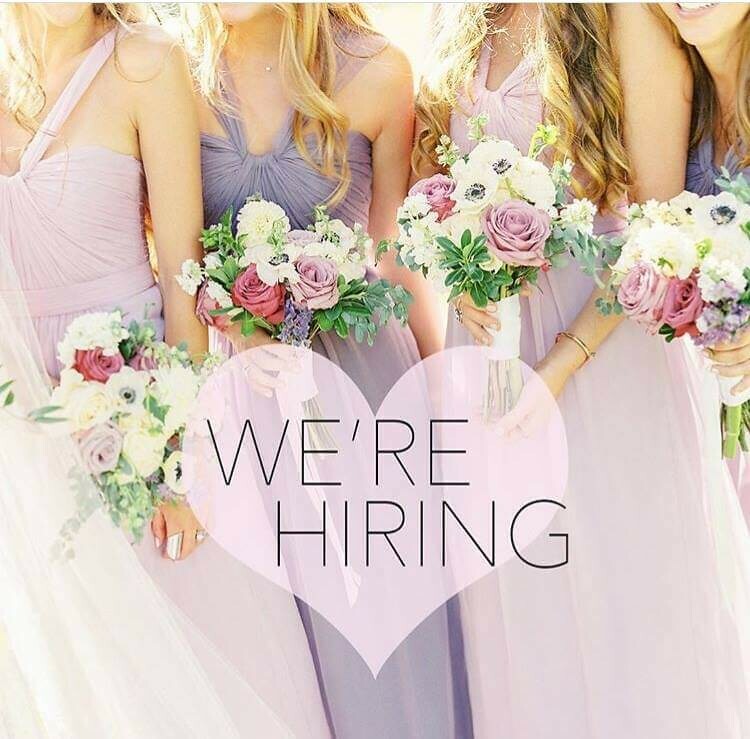 It’s really easy; just ask us for details.